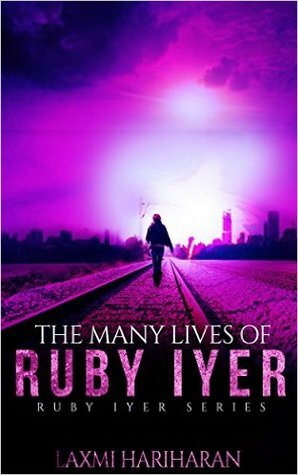 Even after reading the 0.5 version ‘The Ruby Iyer Diaries’ nothing prepares one for the plot which unfolds in the novel ‘Many Lives of Ruby Iyer’. 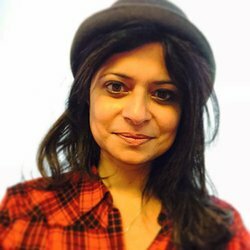 Dystopian genre is new one and the idea behind Ruby Iyer’s evolution as a savior is unique. I will not say more or it will turn out to be a spoiler. Age notwithstanding, Ruby has come across as a strong, although violent (a requirement for survival) protagonist, who continues to hold on her own despite the odds stacked against her. 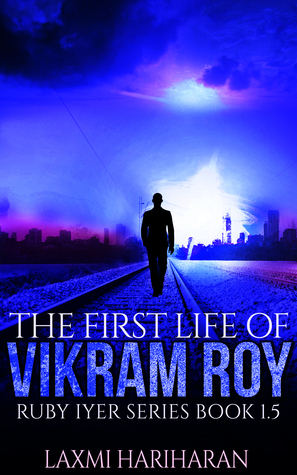 Pankaj Mehta is a loyal, intelligent friend and I loved his characterization. Vikram Roy is hot, drool-worthy and perfect in his foil of a bodyguard for Ruby, but we could never fathom his real reasons for shadowing Ruby in this story. Dr. Braganza, though interesting, doesn’t come across as a ferocious villain and falls short in a genre like this. Two, not very popular ways of narration, first person and present tense are used and written flawlessly with an inimitable style. Writing in present tense is a very tricky business and I must say it has added to Ms Hariharan’s way with words. The author has given a picturesque window to Bombay and it has come across as a sophisticated city with all the rich kids swarming around and five star hotels. In the initial chapters Ruby’s accident, her trauma, and the missing parts of her life are shown as minuscule flashbacks. Lack of adequate segue between Ruby’s hallucinations/dreams and reality becomes a bit confusing. I had to read a few passages again. Towards the end the story gains momentum and I couldn’t wait to get to the next page. Since it is an intense novel, I would suggest it should be read without breaks, else one will lose the context. There are a few mistakes which were a tad jarring, for example when Vishal accompanies Ruby in captivity, he walks in front of her, which is never the case with a prisoner and a guard, or when Ruby takes off her shirt and binds it around Vikram’s wound, I thought she was wearing a hoodie too. All in all, The Many Lives of Ruby Iyer is a great, original effort—a one of a kind story. I would recommend it to all Dystopian genre fans and I look forward to the next one in the series. he was told to write. Laxmi is the creator of dystopian romance series, RUBY IYER SERIES (The MANY LIVES OF VIKRAM ROY – FINALIST Indie Excellence Awards, the bestselling The RUBY IYER DIARIES , The FIRST LIFE OF VIKRAM ROY, The SECOND LIFE OF RUBY IYER & VIKRAM ROY, PANKY’s FIRST LIFE), and the Amazon bestselling, eLit Gold winner, The Destiny of Shaitan (Bombay Chronicles, 1). If you’re looking for books like Divergent and Angelfall, you’ll love the RUBY IYER SERIES.